The Tyuni market consists of about 150 shops and the news about the turtle spread like a wildfire and big attendance of onlookers was registered. The mysterious appearance a turtle in a remote place in Uttarakhand has forced local people to develop various theories about the find. 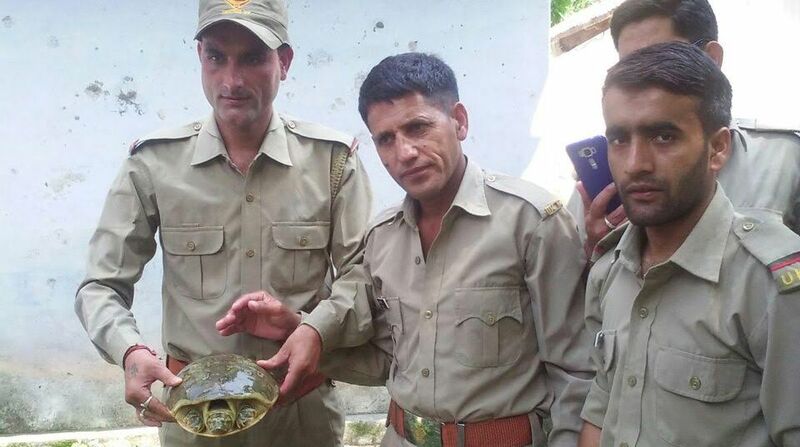 A turtle was found by village kids near Tyuni market, 190 kms from district headquarter Dehradun, on Sunday to create curiosity. As no tortoise was ever sighted at Tyuni and its nearby area in the past, the rare species surfacing in a hilly area has surprised all. Tyuni witnessed a rare incident on Sunday morning. A bunch of monkeys found the turtle and considering it an edible thing took it on a tree. They struggled to make out what to do with it and threw it down. Some village kids were below the tree and when the ball like thing started moving, they surrounded the turtle. Within few minute big crowd gathered around and local people informed the forest department. The Tyuni market consists of about 150 shops and the news about the turtle spread like a wildfire and big attendance of onlookers was registered. 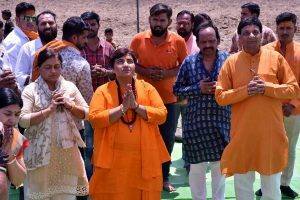 Many people claimed that it possibly got washed away in rain water from Himachal. Some other had the idea that the turtle was possibly brought here by eagle or other bird. Many theories were propagated within minutes of the find. Rather than moving on flat surface, one tortoise decided to take up the hilly terrain. And hogged the limelight before getting released in the wild!